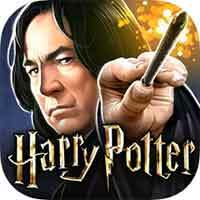 Guide for Year 4 Chapter 14 Harry Potter Hogwarts Mystery The Spider’s Lair Walkthrough – Torvus will take you to the Cursed Vault, but only if you convince Hagrid to join you, and prepare to battle giant spiders. 1. Talk to your friends about facing the Cursed Vault. Professor Kettleburn will asked you Why are you so curious about Acromantulas ?